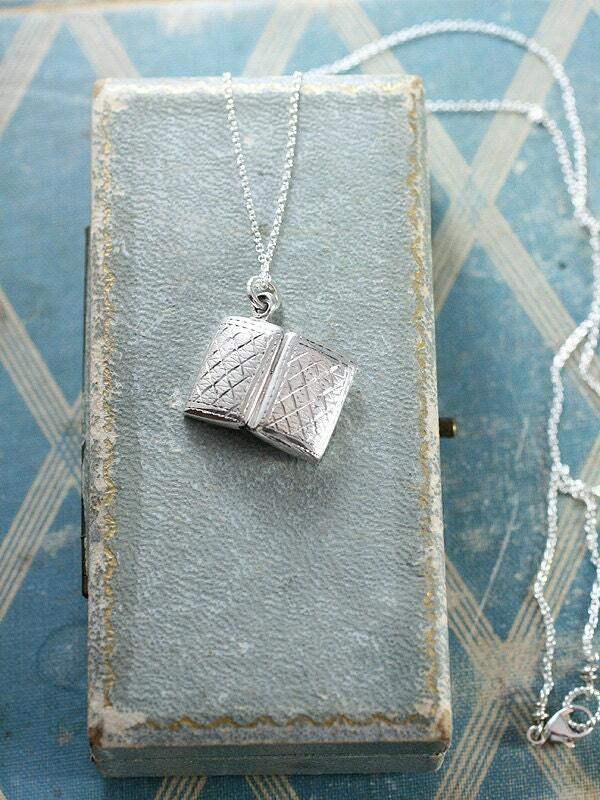 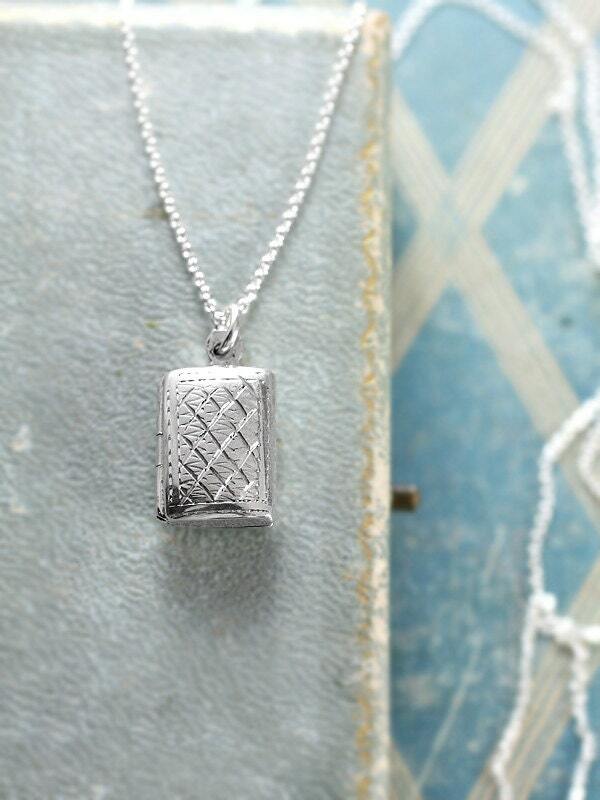 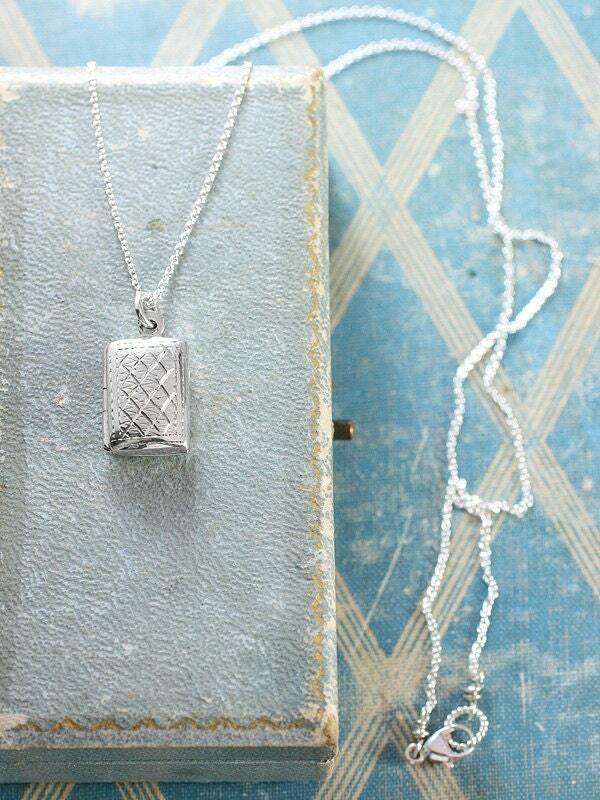 This wonderful rectangular locket is engraved on both sides with a unique pattern. 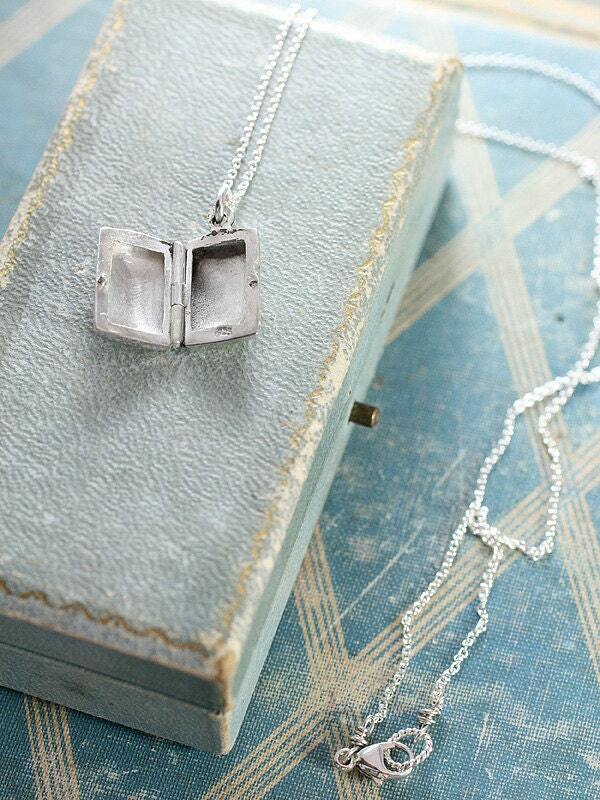 The locket opens to reveal two places waiting for your beloved photographs to be placed inside. 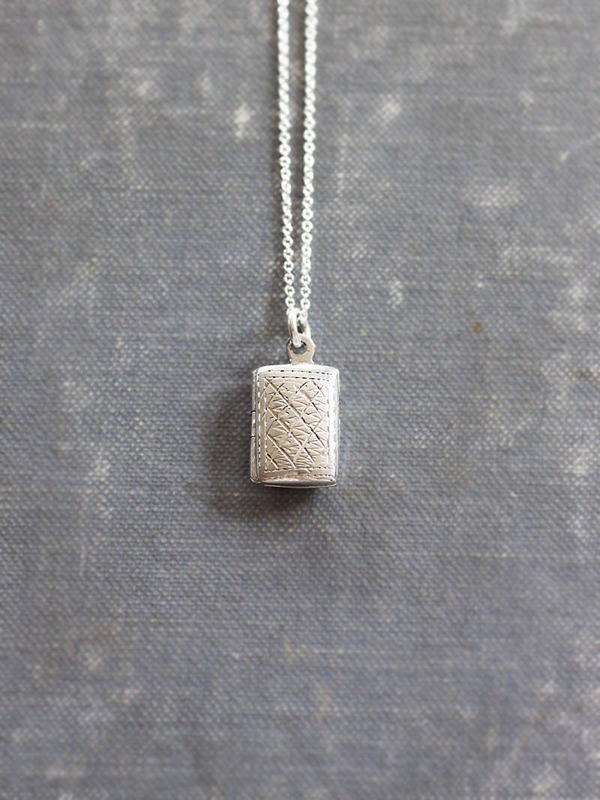 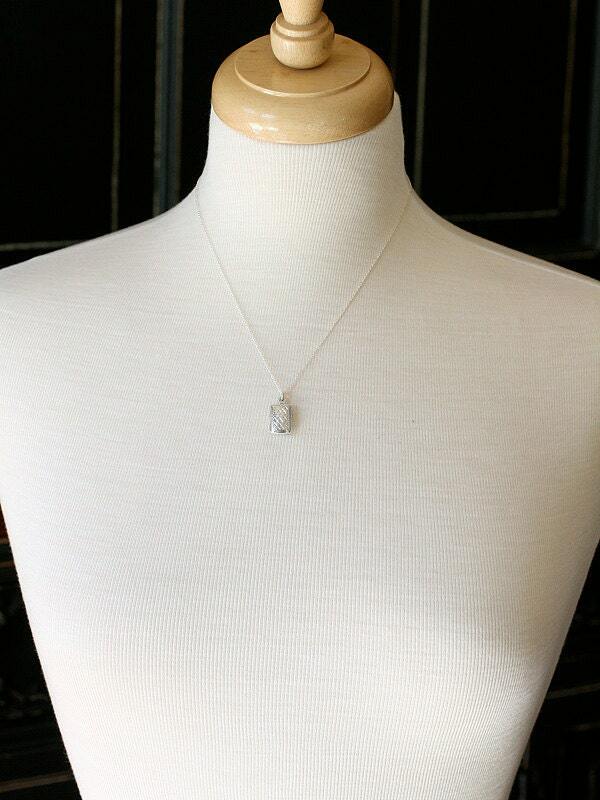 The pendant is set on a new silky smooth chain of sterling silver hand finished with a trigger clasp of the same.